ARRIVALS & DEPARTURES, released on 22 July 2018, is a new machinima from CEH Productions – Caledonia Skytower of the Seanchai Library, Elrik Merlin of Radio Riel and Designing Worlds, and Honey Heart of Elite Equestrian. 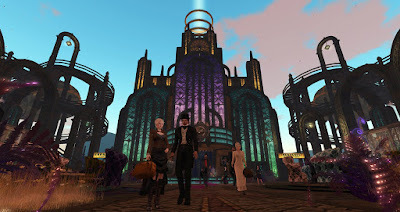 The 15-minute film, shot in Second Life®, is based on a short story written by Caledonia and originally recorded for Fantasy Faire Radio as part of the 10th Fantasy Faire, the annual SL-based fund-raiser for the American Cancer Society. 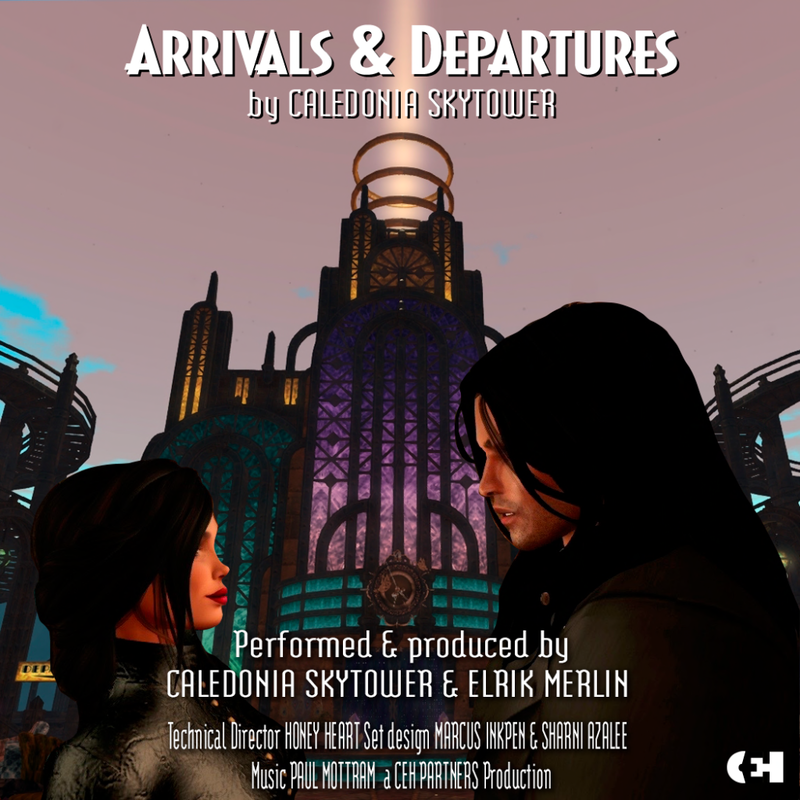 ARRIVALS & DEPARTURES was released on 22 July, 2018 and is available on YouTube, Vimeo, SLArtist.com and AView.TV. ARRIVALS & DEPARTURES presents a glimpse into two individual journeys that are brought together and shared for the last time. It is about the one who leaves, the one left behind, and the essential role of each. Though the word is never uttered in the film, it essentially addresses aspects of our attitude to death. Technical Director Heart re-erected the spaceport as a film set, and used a range of in-world animations and path-scripting techniques to realise the action, which was shot by Skytower and Merlin, who also performed the two lead roles. The footage was then edited conventionally by Merlin. 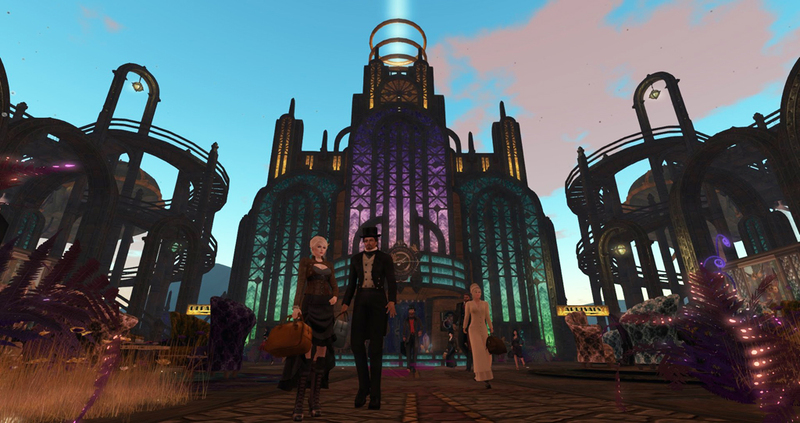 The project was a transatlantic collaboration, with Skytower in Washington State, Heart in Michigan and Merlin in Scotland. The soundtrack recording and production co-ordination was carried out in Skype, sharing screens while shooting, and ‘dailies’ were viewed via the cloud.